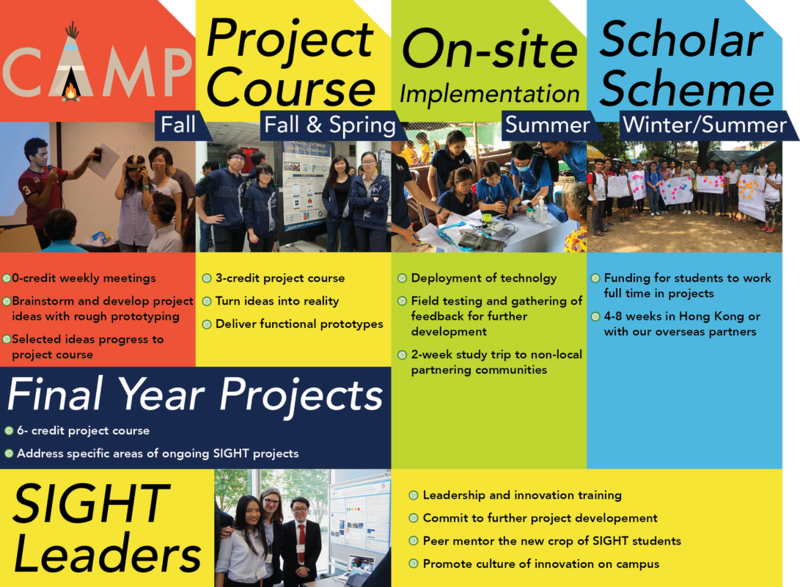 SIGHT stands for Student Innovation for Global Health Technology (中文：視野無界). Our motto: Simple Technology, BIG Difference. Innovation is designed by undergraduate students from different backgrounds working together, who aim for tangible solutions that are appropriate for poor communities. Deployment is driven by undergraduate students sharing the same goal of overcoming the social, cultural and economic barriers. SIGHT is hosted by the Office of the Dean of Engineering at the Hong Kong University of Science and Technology.